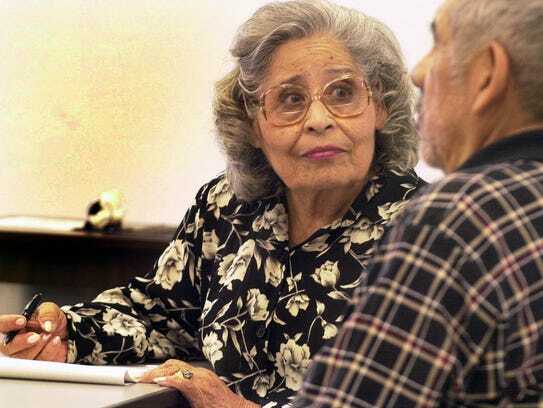 Terri Cruz, a prominent Mexican-American community leader and a founding board member of the social-services agency Chicanos Por La Causa, died Thursday morning. She was 89. The organization confirmed her death. Cruz is remembered for her no-nonsense, can-do personality. She helped found CPLC in 1969 and worked for the agency for more than four decades as a social-services counselor. “She was one of the first women to get involved. She was a fire plug. She wanted to get things done,” Garcia said. In 2016, Cruz still showed up to work as a social-services counselor, pushing her walker into the CPLC’s headquarters, which is dedicated to her, on Buckeye Road. “People are important. If people need help, you help them. You share,” Cruz told The Republic in 2008. Cruz also served on the Hispanic Senior Citizen Foundation Board, the Maricopa County Community Service Commission and the Arizona Attorney General Senior Citizen Council. In 2012, Cruz was honored as an Arizona Latina Trailblazer by Phoenix College’s Raul H. Castro Institute and Latino Perspectives Media. The Arizona Diamondbacks honored Cruz last year with the 2016 Roberto Clemente SEAT 21 Award. Cruz was born on Sept. 18, 1927, in Tucson. Her father died when she was 5. Her mother died a month later. Cruz was raised by an aunt and uncle who cared for 12 orphans, including Cruz and her brother. She only finished eighth grade. In 1942, when she was 15, she moved to Mesa with her aunt and uncle. She babysat for the wives of soldiers who were stationed at Williams Field. Later, she worked as a house cleaner. “I scrubbed floors for a living, and I loved it because I loved the people I was working for,” Cruz told The Republic in 2013. One of them was a lawyer who talked Cruz into running for Democratic precinct committeewoman in south-central Phoenix, where she then lived. Cruz said no. But the lawyer kept asking. She won by a landslide. She always said she swore she didn’t know how. After that, Cruz’s involvement in civil rights took off. She was elected secretary of Leadership and Education for the Advancement of Phoenix, an organization that provided leadership training to minorities. She began working for the Service Employment Redevelopment Jobs for Progress program, helping train and find jobs for Hispanic veterans. 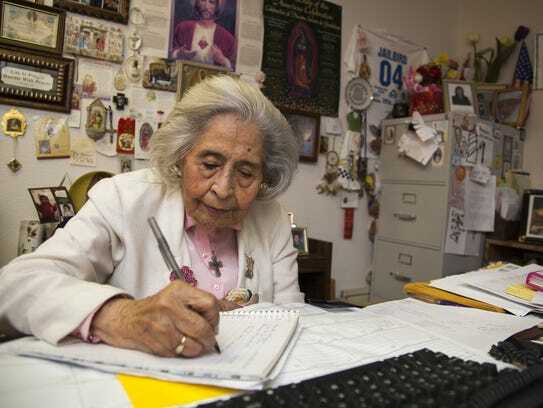 Then, in 1968, she was invited to a meeting with other Latino leaders forming a new organization to battle civil-rights issues, including police brutality, farm-worker injustices and education discrimination in the Hispanic community. 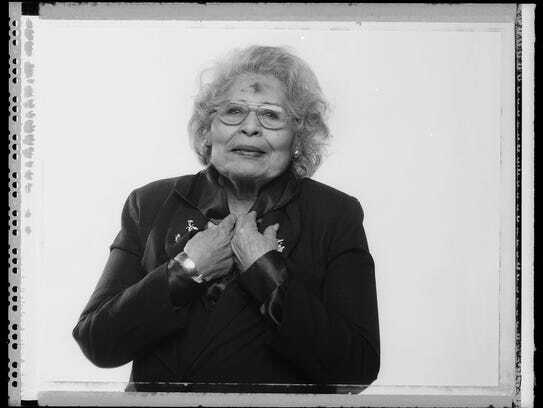 The next year, she was among 15 people who signed the first articles of incorporation for Chicanos Por La Causa. She was then elected to the board and served for 12 years. Garcia said Cruz also played an instrumental role in organizing a 1970 boycott of Phoenix Union High School. About 2,000 Mexican-American students refused to attend classes to protest programs that funneled Hispanic students into trades instead of college as well as the lack of books reflecting Mexican-American history, he said. The boycott prompted several reforms by the Phoenix Union High School District, including hiring more Latino teachers and counselors. The Maricopa County Bar Association Distinguished Public Service Award. The City of Phoenix Golden Heart Award. The League of United Latin American Citizens Community Service Award. The Phoenix College Arizona Latina Trailblazer Award. On April 18, 2012, Pastor entered a letter into the Congressional Record on the House floor in Washington, D.C., honoring Cruz’s achievements. Cruz kept the signed letter on display on a table under a painting of Our Lady of Guadalupe, one of many religious icons in her office. Cruz’s office also was lined with photos of the many people who have honored her, among them former Arizona Rep. John Rhodes, former Arizona Gov. Raúl Castro, California U.S. Rep. Nancy Pelosi and Secretary of State John Kerry. Cruz got married when she was 15 and had eight children: Arturo, Artemisa, Carlos, Gregorio, Gerry, Helen, Henry and Guadalupe. 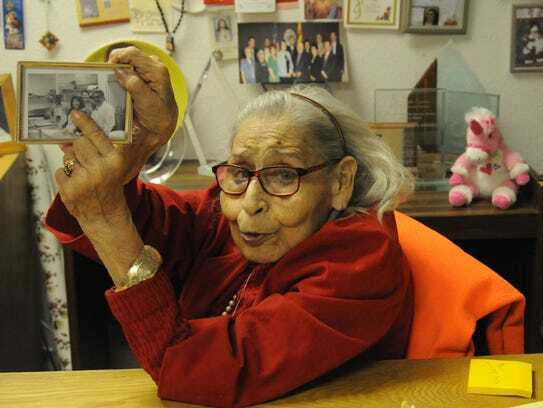 A true matriarch, Cruz also had 36 grandchildren, 200 great-grandchildren, and about 70 great-great grandchildren.